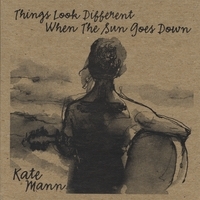 Kate Mann has a strange innocence in her voice that is nothing short of a genuine and blessed with grace. At times she sounds like a country girl type. At others, a woman of the earth. There is something positive to be said of an artist with a likeliness to someone you can’t quite point a finger at. In actuality, it is the craft that has been mastered, not some sort of mimicry. And Kate’s wonderfully prolific Things Look Different When The Sun Goes Down is a triumph of craft(wo)manship. Each track on this album contains it’s own sense of authenticity and antiquity. From the title track to the entirely Spanish sung “La Llaorona”, or to the metaphorically enchanting “Bird In My House”. Every song is has it’s own life. Blood and pain and joy are inevitable in life. And the same can be said for Kate Mann’s disturbingly beautiful music. 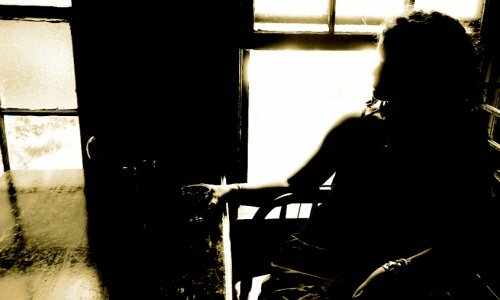 With the power of great storytelling, poignant lyrics, and brutal honesty, Kate has discovered all the necessary efforts to be a brilliant songstress in the folk world. She is blazing the saddles of the city of roses, and her spiritual journey is sure to be recognized beyond Oregon. With grace and intensity of the earth, it only makes sense that the earth will appreciate the intoxicated riverbed that is Kate Mann – a one woman masterwork for the new generation.